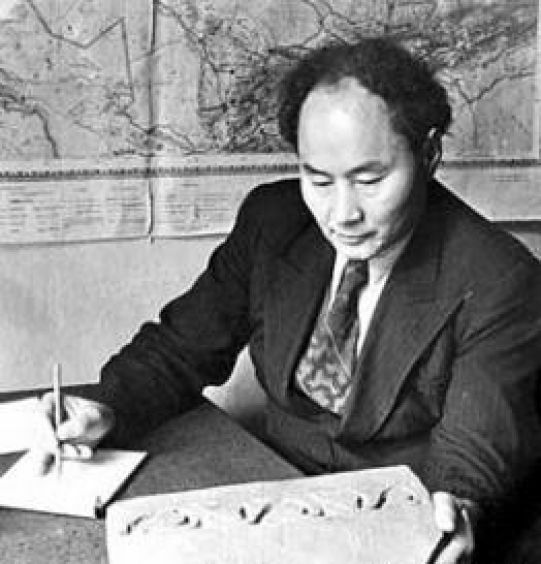 The archeologist, Ph.D., academician of Academy of Science of Kazakh SSR, Professor, Honored Scientist of the Kazakh SSR, the founder of the Kazakh School of Archeology and a prominent scholar in many fields. He began his career as a teacher. In 1929, after graduation he worked as the secretary of the terminological commission of Commissariat of Education KASSR. From 1931 to 1936 —graduate student, intern and researcher at the State Academy of the History of Material Culture. From 1936 to 1938 — intern researcher at the Institute of History of Material Culture of the USSR Academy of Sciences. From 1946 to 1985 — the head of the department, the senior researcher at the Institute of History, Archaeology and Ethnography of the Academy of Sciences of Kazakhstan. The result of this research in the cultural history of the Kazakh people was dissertation defense on the “Epic Tales of the Kazakh people” in 1945. Moreover, the objects of his studies were monuments of ancient architecture. He discovered unique archeological monuments of the Bronze Age and Early Iron Age: Begazy, Sanguyr, Belasar and so on. Alkey was the editor and compiler of the Sh. Valikhanov’s essays and author of numerous monographs about him. He successfully combined scientific and teaching activities with organizational work. For many years he was the head of Coordinating Council of the ethnogenesis of the Kazakh people, the Scientific Council of the Institute of History, Archeology and Ethnography of the Academy of Sciences of the Kazakh SSR, the specialized council for doctoral dissertations. A.Margulan published more than 300 scientific and popular publications.